You must make reservations at least 5 minutes in advance of the time at Laurel. Street and metered parking are available. 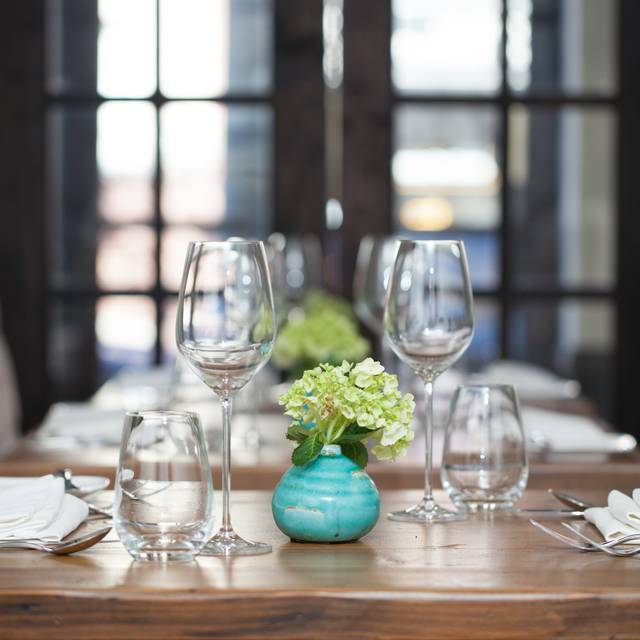 An intimate French/American restaurant by Chef/Owner Nicholas Elmi. 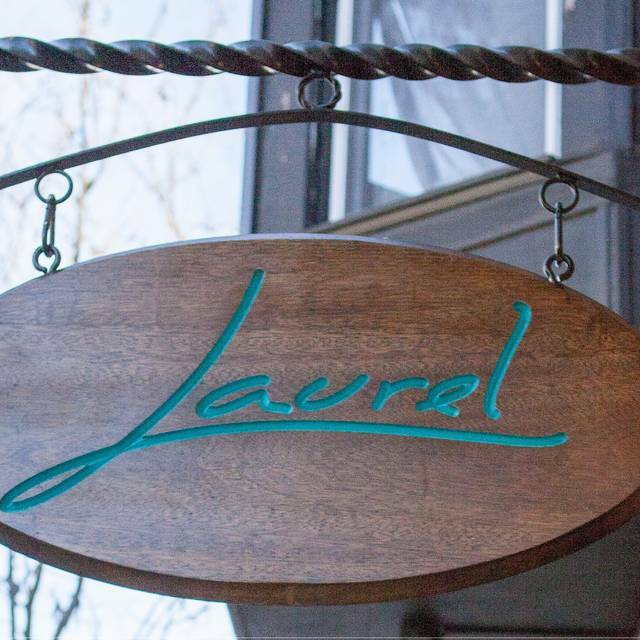 Laurel offers a full wine list, cocktails and beer as well as optional wine pairings for $65/guest - $100/guest. Please note any allergies or dietary restrictions in your reservation allowing us to accommodate. Easily one of the best dinners of the year. Each and every course was so intricate, layered and delicious! Service was friendly and approachable. Great that you can bring your own wine. We were thrilled with our dinner at Laurel and can't wait to return! Amazing food. Unique and delicious. A new favorite of mine. 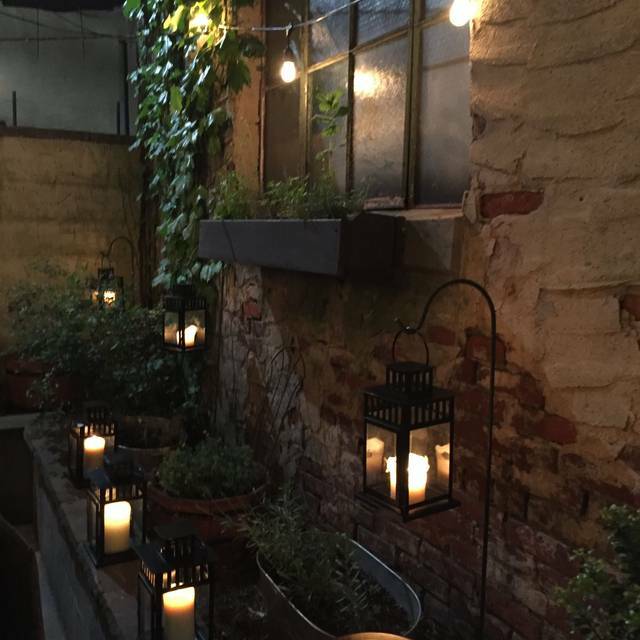 Fantastic food, wonderful staff, and a perfect ambiance. Couldn't ask for a better meal! I do not do many "fine dining" experiences. This may have actually been my first. And to be transparent, I was attending because I knew that Eddie Konrad, from Top Chef: Kentucky, was on the staff (I'd podcasted about the TV series and wanted to say hello). And Laurel was spectacular. A friend and I had reservations at 8:45pm, but the restaurant phoned to let us know we could arrive earlier if that accommodated our schedule better (which we took advantage of). Luckily, we perused the menu online beforehand, so we were aware that it was a tasting menu (your choice of six or nine courses)...and we came prepared to go the full nine. I'm also not a big wine fan (I know little about wines), so we also invested in the wine pairing (six wines and a cider) for the nine courses. We also had the option to add two additional plates (gnocchi and wagyu beef). In short...I've never had an experience like this, let alone a three-hour meal...and the time just breezed by as course after course was brought out and explained. Is it pricier than your average meal? Yes. But it was one hell of an experience that I'm glad I undertook. Just awesome. A must for foodies — all sorts of ingredients and tastes, wonderful service. It was amazing, in all areas. We will definitely go back as soon as we can. Very mediocre! Actually, disappointing. Everything was average. The food, service and atmosphere. Nothing stood out to make the experience special, especially at these prices. Such an unbelievable experience. The food and drinks really couldn't have been better. The 6-course left us very satisfied, and each dish was brilliant. Our server was equally brilliant, as were all the runners. The flow of the evening was perfect. You really just can't say enough good things about the Laurel experience. We are very lucky to have it in our hometown. Thank you!!! Food was outstanding! We would definitely return for the food. Service however was very fast. A new dish was being presented just as the previous one was taken away. With wine pairings, it made it feel as if we had to gulp down our wine. The wait staff was also rather unfriendly. Maybe we were just there on an off night for service. Overall highly recommended! It was amazing , food was great loved meeting Eddie , wanted to meet chef Nick but everything was great. Everything was simply superb - nothing better!! We found out about Laurel thanks to Eddie's appearance on Top Chef. Since we were going to be in Philly for a convention, I decided to look it up. I'm glad I did. We selected the 6 course menu. Delightful little meal. The highlight was the first course of lobster, beet and horseradish. The meal was very well timed. If you are a big eater, I would recommend the 9 course or one of the add-ons (this evening it was gnocci and kobe beef), but the portion was just right for me. Bonus: BYOB without corkage fee. It was a great opportunity to open some of our "special occasion" bottles of wine. Other bonus: lots of other great little bars and shops along Passyunk Ave. The most amazing meal I have ever had!!!! 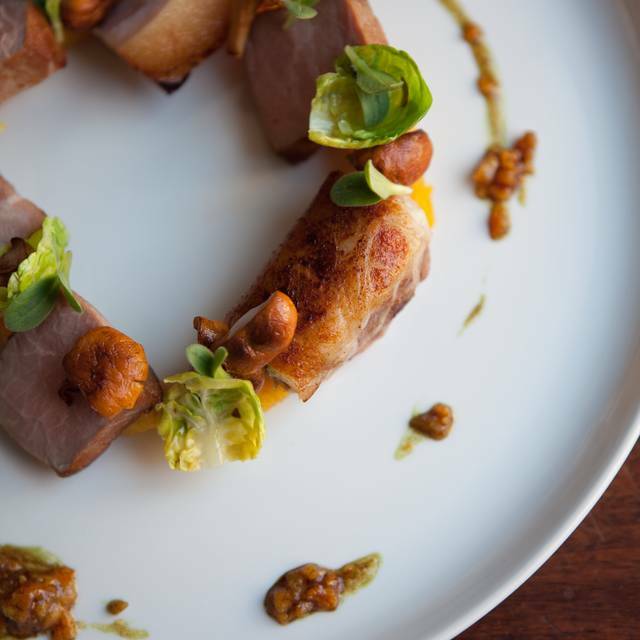 The 9 course menu has everything from venison to caviar. Great cocktail. Absolutely delicious food. Excellent pacing. Amazing tasting menu. Very pricy but great for a special occasion. Just a beautiful place with excellent food. The tasting menus are really fun. When we were there most people didn't take advantage of their no corkage fee byob. The pairings they have, though, look fantastic. Super interesting experience all around. Great service. Incredibly friendly, attentive and knowledgeable staff and chefs. Food was delicious and beautiful! One of the best meals we've had in Philadelphia. Friendly, accommodating staff, great drinks, fantastic flavors and presentation. The tasting menu and experience exceeded our expectations. Laurel continues with very good and creative food. A good cocktail program. Wine selection is not very deep and is very young but reasonably priced. No corkage encourages aged wines from home. 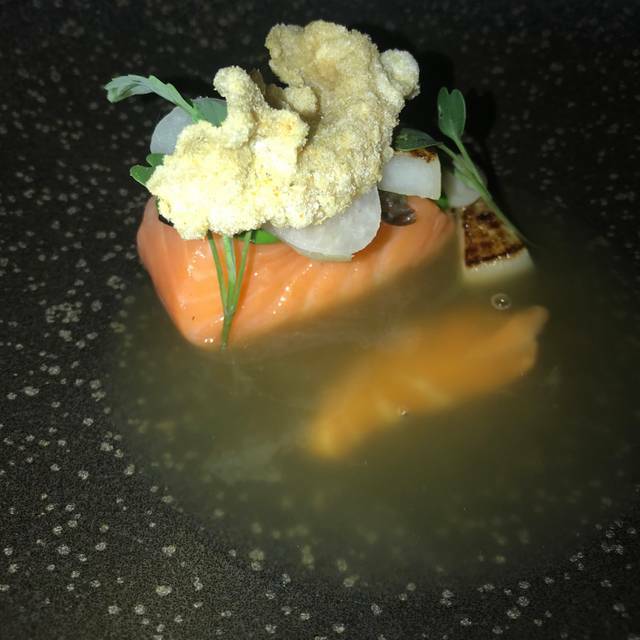 The food was amazing and the service was impeccable. Amazing meal! Definitely worth every penny! An amazing meal! Each dish a new surprise for the tastebuds. Very inspired food. We love this place. Our third time tonight, still out absolute favorite place in all of Philadelphia. Every bite spectacular. Big shout out to Eddie “Money”, great chatting with you!. As delightful in person as he was on top chef. Still baffled how this doesn’t hit #1 on the top philly restaurants. Coming back in May! a nice touch. Dining at this restaurant is an experience....and one we enjoyed immensely. I have only good things to say and respect for the chefs who clearly understand food in a way I never will. I have never had pasta that literally melts in your mouth...that gnocchi was ridiculous. The wait staff made us feel comfortable and relaxed even though it was evident we were out of our comfort zone. We chose this restaurant because we were going to be in Philadelphia and wanted to eat a Top Chef contestant's food....at Laurel we got an incredible two-fer. Is it pricey.... yes. Is it worth it...most definitely. Do I want to visit again... absolutely. Thanks to all for a wonderful evening. The chef, Eddie, was so welcoming. The food was great, service impeccable, and wine pairings were well informed. HIGHLY RECOMMEND!! A great place for a special occasion. They were gracious at substituting the foods I didn’t eat and will cater to any dietary needs w/ notice. Food was very creative and each dish better than the next. Love that you can bring your own wine. Our only complaint is the lack of parking spaces and the absent valet service that used to be there. It took us 30 mins to find a spot and ended up parking illegally. A gourmet experience on East Passyunk. This was my first "fine dining" experience, and I loved that there were no menus. Everyone dining there each night enjoys the same 6 or 9 courses. I knew this would be a great way for me to get out of my culinary comfort zone, as I tend to stick to known flavors. Laurel took me on an adventure for which my palate was not prepared. Each course was better than the last, with masterfully combined flavors and textures. Even foods to which I thought I was adverse (snails) were so accessible and left me wanting more. 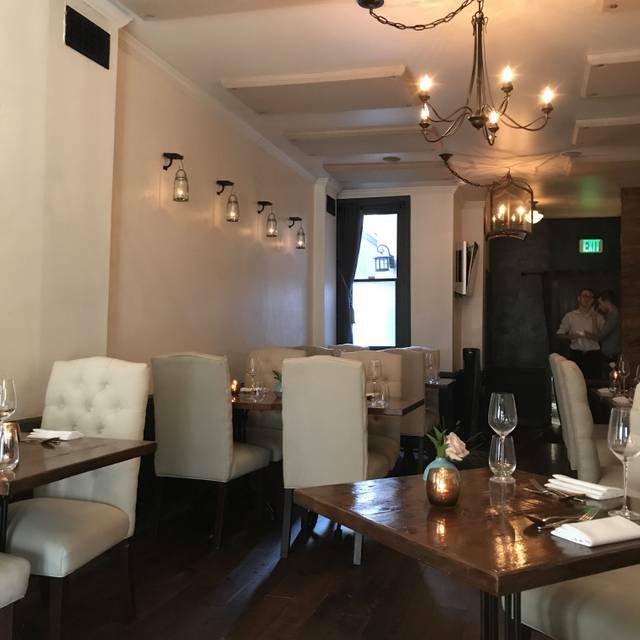 It was not an inexpensive night out (we added some extra dishes and paid up for the wine pairing), but Laurel is great for a special occasion. The service staff was excellent and very personable, and we will definitely be back for another celebration. Most amazing meal I've ever had. My husband and I were celebrating our anniversary. From start to finish, absolutely wonderful. Cannot wait to do this again. Very pricy, but totally worth it. It was truly a dining experience! 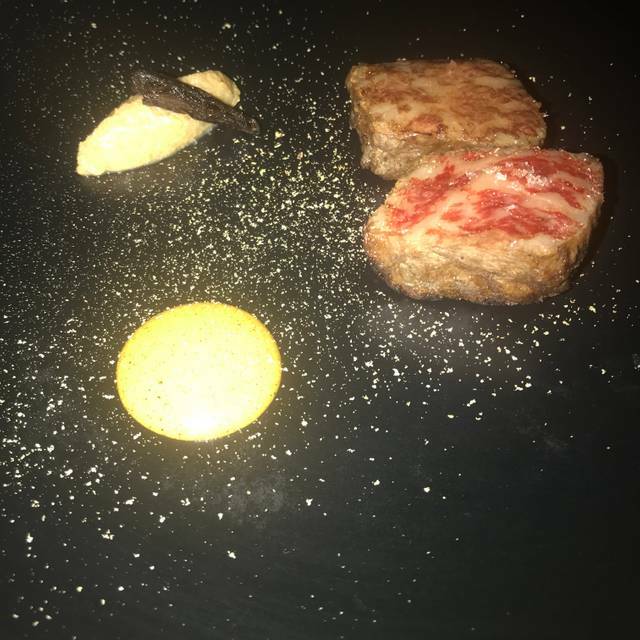 We had the 6 course tasting menu with the Wagyu beef extra dish - all courses were exceptional. The service was not only extremely knowledgeable but also on top of things and fun. 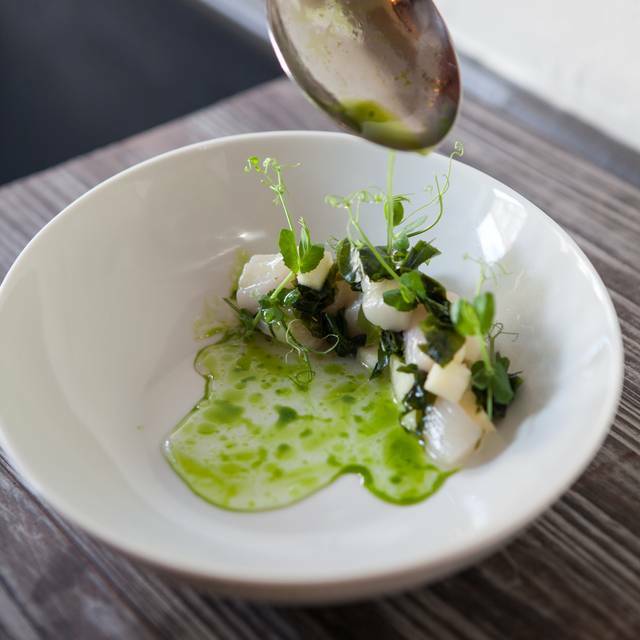 All of the dishes and service showed a high element of detail. It’s expensive but not as much as other places and definitely worth the money. Laurel remains my favorite fine dining experience in Philadelphia. 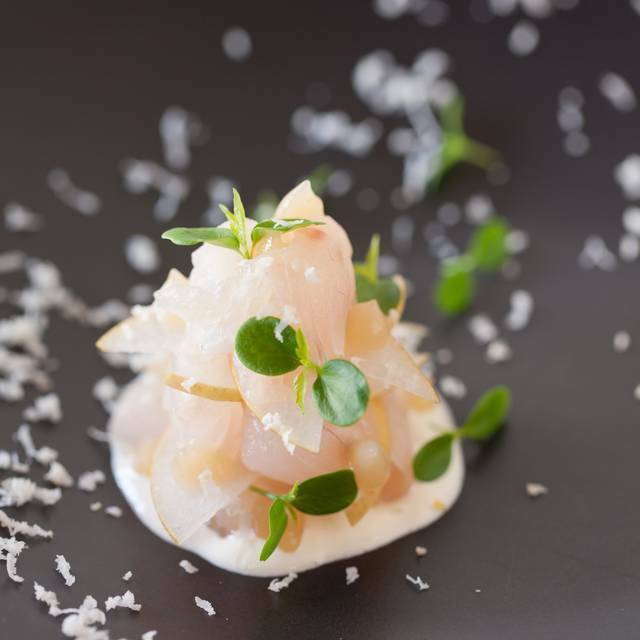 The food, service, and ambiance are impeccable and unpretentious. I’ve been blown away by the 9 course tasting menu in three variations over the years, and left giddily satiated each time. Most recently my dining companions’ dietary restrictions were graciously accommodated, equally delicious, and wildly creative. Eagerly awaiting the next meal at Laurel. The food was wonderful. Service was ok, our servers seemed a little too uptight.